How long have you lived in Birmingham? I’ve lived in Birmingham for a little over 10 years now. There was a brief 10 month stint in Hartford, Connecticut that I try to forget about every day, and thus, don’t really count. My official Birminghamiversary is January 2nd. I came to Birmingham by way of New Jersey and Chicago…college, right?! I was born and raised in New Jersey. At the wise old age of 18, I decided to move away for college, so I went to Chicago. Chicago, to this day, is still one of my all-time favorite cities, but long story short, let’s just say the college scene didn’t work well for me there. I ended up transferring to Birmingham-Southern College, a small liberal arts school in Birmingham, and have been here ever since. I am currently the Marketing Director for Good People Brewing Company. I’ve been here for about 3-1/2 years, but in this roll for about 2 of those years. I started as a bartender in the taproom and have slowly but surely had more added to my plate over the years. There’s so much that I love about Birmingham. Since moving down here, the city has continued to grow and so many new things are happening. For a long time, most young people from this area would go to college and immediately leave to take jobs in Atlanta, Nashville, else-where, etc. Now, it’s really refreshing and exciting to see people sticking around and trying to make this city a better place to live and work. There is something happening around town every single weekend, so if you’re bored, you’re not doing it right. Another great thing about Birmingham is that it is within driving distance to so many other great Southern cities. Atlanta is only about two-and-a-half hours away, Nashville three, New Orleans five…you could take a road trip every weekend if you wanted. Right now, I would definitely suggest staying at The Redmont hotel on the North Side of town. They just redid it and it is within walking distance of some of my favorite bars and restaurants. There are also a few more hotels being built across the city that have a lot of excitement around them. For instance, the Empire Hotel, which will be part of the Autograph Collection by Marriott, is being built on 1st Avenue North and will be close to all my favorite places. I recently checked out AirBNB for Birmingham and there are some really great local homes on there. Staying in Crestwood or Avondale will let you see the charm of these neighborhoods and homes. Where would you send a tourist visiting Birmingham for the first time? 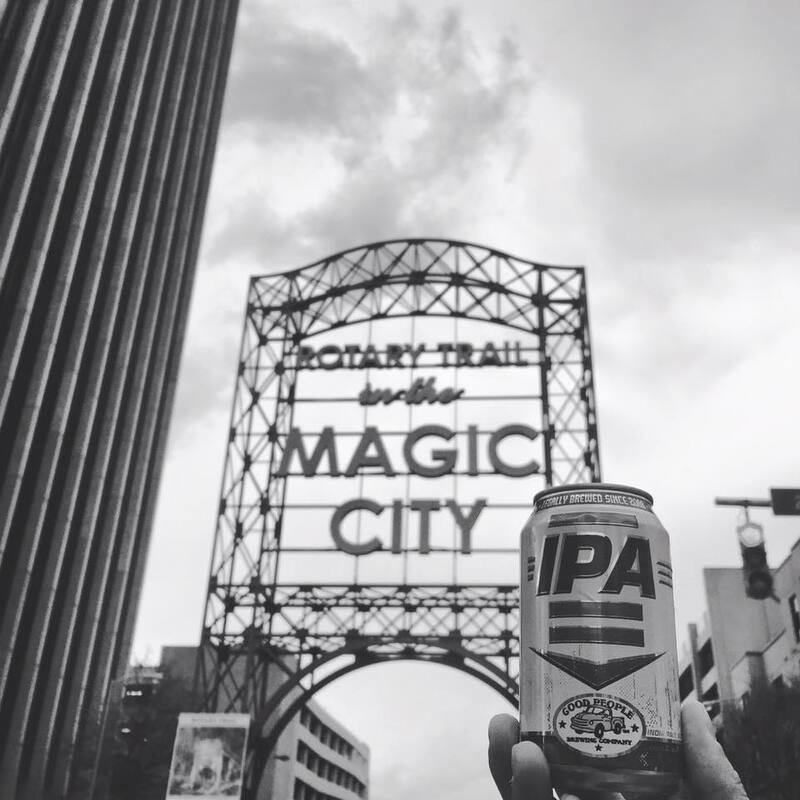 We get a lot of Birmingham newbies that come in to the brewery, so I’m always excited to share some of my favorite places. I always suggest a stop at Vulcan Park. It’s up to you whether or not you want to actually take the elevator up (I’m not a huge fan of heights or grated flooring with nothing underneath you but death), but the view is great! If heights are not your thing, drive up to Argyle Road to see some amazing homes and a breathtaking view of Birmingham. When it comes to a place to eat, I always tell people to stop in to El Barrio or Saw’s BBQ. You’re guaranteed an amazing meal. Neither place is crazy expensive or fussy. They're just super solid places to enjoy your meal, your company, and Birmingham. Oh, man! What a good question. I guess it depends on what kind of mood I’m in? I’m very much a comfort drinker, so a bar has to feel right to me in order to fully enjoy a drink there. I feel much more at home in a dive bar than I do any kind of “lounge” or cocktail bar. My favorite late night spot is Marty’s PM for their classic patty melt, frito pie, a reuben, and/or a burger. I’m not here to judge if you need all of that plus a tallboy to end the night. Birmingham has so much history and so many attractions around town that it’s really hard to pick just one. I feel that people coming to Birmingham for the first time often have a lot of preconceived notions and stereotypes about the city; I know that I did at first, but I was quickly proven wrong. There are sights and attractions for every type of person. Everyone knows Birmingham as “that city” in regards to the Civil Rights movement. Since I’m not originally from Alabama, nor is my family, all I know is that the people I have met and spoken with want to move on from this dark time and educate people about that era. I know the Mayors Office and other leadership groups around Birmingham have worked hard in order to honor the people that fought so hard to bring justice and a voice to the Civil Rights movement. So, if you want to fully immerse yourself in the history of the Civil Rights movement, then the Civil Rights Museum is a must see. The Museum is very close to Kelly Ingram Park and 16th Street Baptist Church, as well. You can also follow the Birmingham Civil Rights Heritage Trail around the North Side of town to see more than 200 signs covering 70 significant sites. Actual protest photos are used, so you can see exactly what that spot looked like over 50 years ago. Some of my other favorite spots around town include Sloss Furnaces (you can event catch a concert or beer festival here depending on what time of year you visit), Birmingham Museum of Art (entry is free), Birmingham Botanical Gardens, Railroad Park, and Ruffner Mountain. My favorite neighborhood has to be my own, Highland Park. Highland Avenue winds around three different parks, homes, and plenty of trees. You always see people out walking or running and enjoying their weekends in the parks. More often than not, my Sunday includes a long walk throughout the neighborhood and a brunch stop at Rojo before heading home. I’m going to be honest…I’m a terrible shopper. My days are often spent in jeans and a t-shirt, However, if you’re in the market to look as brewery-chic as me, then you need to invest in a solid pair of jeans and reliable t-shirts. For my jeans, I always go to Soca Clothing. They’ve got an awesome selection of designer jeans—AG, Citizens, Sevens, etc.—but also have a price friendly sales section for when you can’t splurge. Whenever I need to restock on t-shirts, I head to The Summit. It is an outdoor shopping mall that overwhelms me with traffic and too many options. As far as a mall goes, it is really nice! You’ve got options like Anthropologie, Free People, Saks Fifth Avenue, Madewell, and other places that I wish I could afford all the time. My ideal weekend in Birmingham definitely takes place during college football season. There’s just something so fun (different/weird/awesome) about planning an entire day around eating and drinking with friends. Knowing what Saturdays look like, Fridays are pretty low key. After work, I usually like to have 5 o’clock ales with friends and/or co-workers in the taproom. Then, I would head to dinner (probably El Barrio or Bamboo on 2nd). After dinner, I’d stop at Lou’s for one more drink before heading home. I usually wake up pretty early on the weekends, so I’d like to be up and at the gym before the craziness of the day really starts. I’d then come back and get ready to go grab brunch at Feast & Forest. When we were done, I’d swing by to grab some snacks and some beer (or bourbon) before heading to a friend’s house for the game. Tailgate set ups in the South are nothing like you’d ever expect. My favorite set up is bringing a few TVs into the back yard, setting up tables for food and drinks, and sitting around a fire pit watching the games. Depending on what times Alabama and Auburn play (Roll Tide! ), this could last pretty late into the night. On Sundays, I usually like to be pretty lazy and recover from Saturday. I love making a big breakfast at home, taking a walk in the afternoon, and binging on whatever Netflix show I’m watching at the moment (I’m looking at you Narcos!). Birmingham is a city that has something to offer everyone—outdoor spaces, art, food, culture, etc. It’s got all the things that a big city offers, but with a small town feel. The people here are some of the nicest you’ll ever meet. Everyone has got a story to tell, and they definitely want to tell it to you. You can’t help but leave here with a smile on your face. Have you been to Birmingham? Let me know in the comments! Click here to see more City Guides.